Saluda County (pop. 19,875) is northeast of Edgefield County. It’s the only Saluda County in the U.S. It was named for the 200-mile Saluda River, which was named for an Indian tribe that lived along its banks. 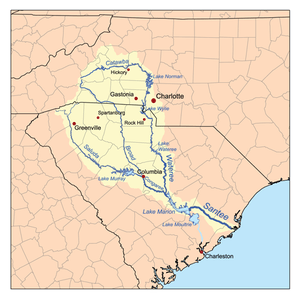 It is a tributary of the Congaree River – which joins the Santee River and flows into the Atlantic Ocean. The county seat is Saluda (pop. 3,565). 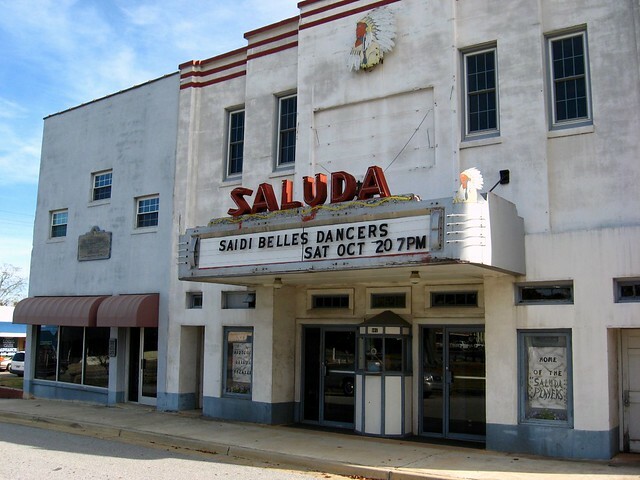 The Saluda Theater opened in 1936, closed as a movie theater in 1981, and is now the home of the Saluda Players. This entry was posted in South Carolina and tagged Saluda, Saluda County, Saluda Players.